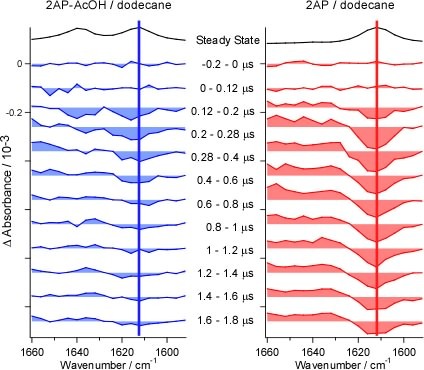 Nanosecond to microsecond dynamics of photo-excited molecules are detected as temporal changes in infrared absorption spectra. The sensitivity of the system is so high that very small changes in absorbance (ΔA＝10-6) can be detected. 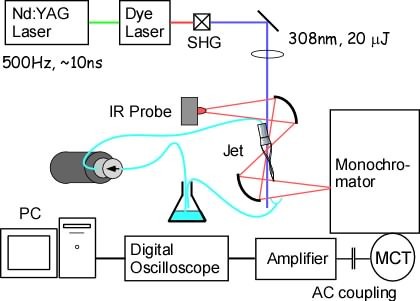 Molecules are photo-excited by the second harmonic of the output of a Nd:YAG laser pumped dye laser (Fig. 2). 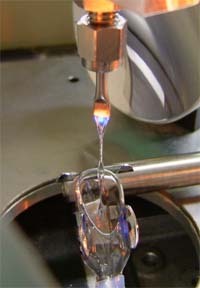 The pump laser beamd is overlaped with the infrared probe beam on the sample jet (Fig. 3). 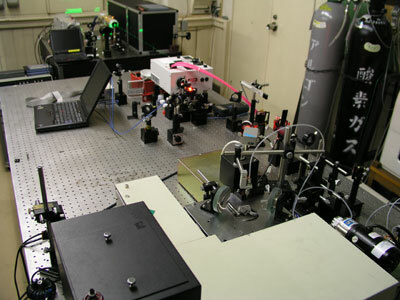 The infrared probe light is dispersed by a monochromator and detected by an MCT detector (Fig. 4). 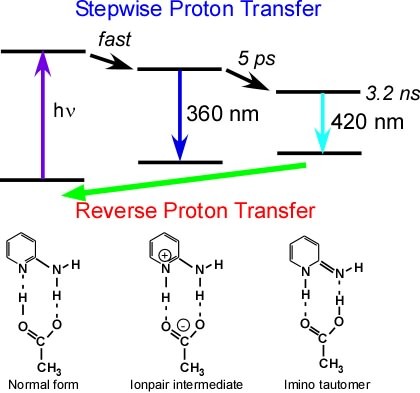 Stepwise double proton transfer takes place in the electronic excited state of 2-aminopyridine-acetic acid complex (Ref. ). 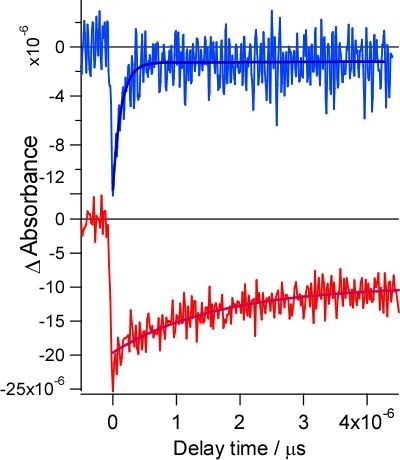 The reverse proton transfer reaction is observed as the recovery of the bleaching of NH bending band (Fig. 7,8). 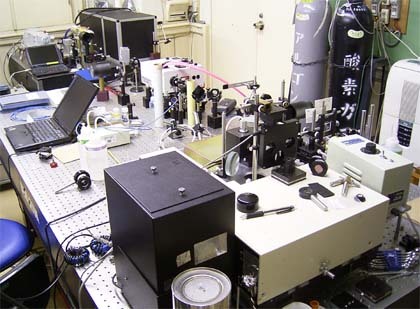 H. Ishikawa, K. Iwata and H. Hamaguchi, J. Phys. Chem., 106, 2305, (2002).